EPS Architectural Foam Shapes | Salmon Bay Sand & Gravel Co.
Salmon Bay deals with a number of West Coast producers, including Dryvit,FMI and New Image who manufacture architectural foam shapes. 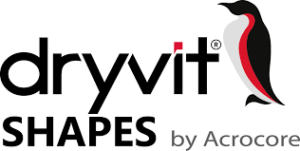 Dryvit Shapes installed with a “Dryvit System” will ensure for a complete system warranty. Architects now have the ability to specify a complete EIFS system from a leading manufacturer using pre-coated architectural shapes. Dryvit Shapes are manufactured from Type 1 EPS Expanded Polystyrene wrapped in a flexible, impact resistant fiberglass mesh coated with a polymer modified, flexible cement coating. 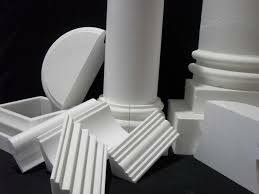 FMI can produce shapes in raw foam or “pre-based” ready for installation and finishing. Virtually any profile or shape that can be drawn may be replicated in foam and produced for your project.